Meet Jyoti , the brightest new stretch cotton printed top from Rasaleela . 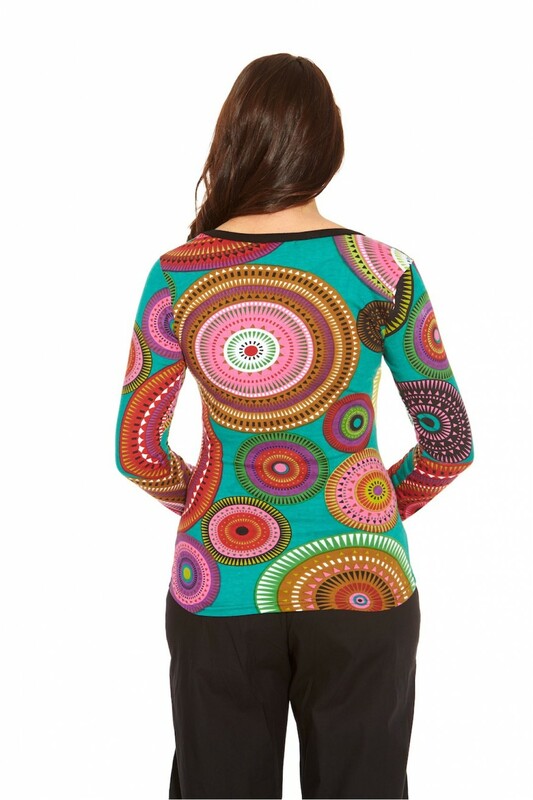 Jyoti comes in a standout Green Circle print with every colour under the sun included in the print ! 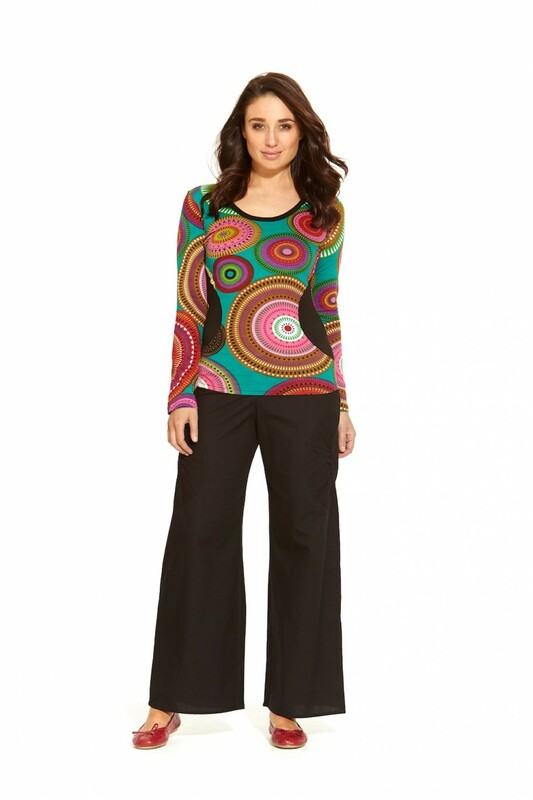 So playful and easy to pair with black pants, leggings , boots and tights this winter . Shes a one of a kind with slight print placement variation on each piece !